In addition to its long history of building vehicles, Hyundai has long supported the fight against pediatric cancer. Hyundai Hope on Wheels is a 501(c)(3) non-profit organization that works to find a cure for pediatric cancer, and the automaker says Hope on Wheels is one of the largest non-profit funders of pediatric cancer research in the country. Primary funding for the program comes from Hyundai Motor America and its more than 835 U.S. dealers, along with the 19 Hyundai dealers that comprise the Washington Area Hyundai Dealers. On Monday, Hyundai announced a continuation of that effort, as a program with its latest Hyundai Hands-On contest will take place in April at the 2019 Washington Auto Show. The Washington Auto Show, The Washington Area Hyundai Dealers, Georgetown Lombardi Comprehensive Cancer Center, and Children’s National will work together in putting on the Hyundai Hands-On Contest. Hyundai describes the contest as a “longtime staple of The Washington Auto Show,” and it requires contestants to remain in constant contact with a Hyundai vehicle over multiple days (with a few breaks). The winner of this year’s contest, which is titled, “Hands on Hope: 50 Hours for $50,000,” will drive away in a new 2019 Hyundai Kona SEL. Contestants will compete over a 50-hour contest period. A new feature of this year’s contest is that the six contestants will include employees from Georgetown Lombardi and Children’s National. The institute where the contest’s winning contestant works will receive a $50,000 grant for research toward finding a cure for pediatric cancer. “The Hyundai Hands-On Contest has long been a hallmark event at our show,” Washington Auto Show president and chief executive officer John O'Donnell said in a news release. "We are proud to be able to use this competition to showcase the important work that our local medical centers do to help the most vulnerable among us in their greatest time of need." ‘The Washington Area Hyundai dealers are proud to support this great work, and excited that one of their employees will drive away in a brand-new 2019 Hyundai Kona SEL,” Kevin Reilly, owner of Alexandria Hyundai and representative of the Washington Area Hyundai Dealers, said in a news release. With only 15-minute breaks every three hours, contestants must remain in contact with the Hyundai Kona at all times during the 50-hour competition. The winner will receive a new 2019 Hyundai Kona CUV from the Washington Area Hyundai Dealers. At the end of the 50 hours, if more than one contestant is still in contact with the vehicle, the remaining contestants will select a Hyundai key from a bowl. The contestant with the one key that starts the vehicle will win the Hyundai Kona for him or herself, along with the $50,000 pediatric cancer research grant for his or her medical center. The institute that does not have the winning employee on its team will receive a pediatric cancer research grant for $10,000. As in past years, Auto Show attendees will be able to observe the contest during public show hours. Hyundai Hope on Wheels has provided more than $1.6 million in grants to Children’s National and more than $1.4 million in grants to Georgetown Lombardi. Hyundai Hope on Wheels has contributed more than $145 million to the fight against pediatric cancer since its inception in 1998. “Hyundai Hope On Wheels has fueled some of the most promising cancer research projects underway at Children’s National,” Children’s National Center for Cancer and Blood Disorders vice president Jeffrey Dome said in a news release. "We are grateful to Hyundai Hope on Wheels — and all of the dealerships here and around the country—for their partnership and generous support for research in pediatric oncology." Such awards allow Jeffery Toretsky, a pediatric oncologist and researcher at Georgetown Lombardi Comprehensive Cancer Center and past recipient of grant funding, to be more imaginative, even if approaches fail, he said in a news release. The announcements regarding Carvana’s growth just keep on coming. The e-commerce platform came out with the news in February that it opened in its 100th market— in Savannah, Ga. — as well as in five Northeast markets. Prior, in January, it announced it was launching in five New York markets and in Columbus, Ga.
Carvana’s latest expansion announcement came on Tuesday as the company launched in its third market in Arizona: the Prescott area. With the Prescott launch, Carvana now offers as-soon-as-next-day vehicle delivery in 101 markets across the United States. The company was founded in 2012 and is based in Phoenix. Carvana founder and chief executive officer Ernie Garcia said in a news release that the latest Prescott move was particularly meaningful, since it is in the company’s home state of Arizona. “We look forward to bringing Prescott the new way to buy a car and all of the convenience and selection that offers area car buyers,” Garcia said. Electric vehicle technologies are often new to many customers visiting an auto dealership, so the salesperson must also be able to introduce and explain the operation of EVs and the features and benefits of EV technology, such as understanding garage-charging options, according to Pied Piper Management Co. Success selling EVs depends on many of the same salesperson behaviors that customers find helpful when shopping for traditional automobiles, Pied Piper added. In its “PSI for EVs” study that includes its “Prospect Satisfaction Index,” Pied Piper listed the manufacturers that most effectively helped customers become EV buyers. Ranked at the top of the list was Tesla, followed by BMW and Nissan. (The irony is not lost here, as it was widely reported last week that Tesla is shutting down dealerships to go for an online-only model). Tesla salespeople, compared to salespeople for other brands, were more likely on average to describe how to use national charging networks or understand garage charging options, according to the study. BMW salespeople performed best in the area of explaining EV incentives and rebates, or noting how vehicle range changes based upon driving conditions. Study participants named Nissan salespeople as more likely to ask how the vehicle would be used to determine adequate battery range, or to describe the convenience of one-pedal driving. Pied Piper’s Prospect Satisfaction Index process uses “mystery shopping” measurement and scoring, along with industry sales success, to measure how effectively dealerships help shoppers become buyers. For 2019, Pied Piper applied the same approach to EVs, measuring how effectively each EV brand’s retailers help customers who visit a dealership. Included in the study were brands selling battery electric vehicles (Tesla, BMW, Nissan, Jaguar, Chevrolet, Honda, Audi, Hyundai and Kia) or plug-in hybrid electric vehicles (Volvo, Mitsubishi, Mini, Chrysler, Toyota, Cadillac, Ford, Mercedes-Benz, Porsche and Subaru).The study chose models from vehicles promoted on manufacturer websites. Audi and Subaru showed EV models online, which were not yet present at their dealerships, so dealerships selling those vehicles were only able to accept orders. Industry research today also finds that two-thirds of EV customers are first-time EV buyers, according to Pied Piper. “EV sales are growing rapidly, and salespeople today play a critical role helping these new customers understand how EV technology will benefit them,” O’Hagan said. Continuing to grow its presence “with a strong brand in a market we love,” Larry H. Miller Dealerships announced on Friday its acquisition of Berge Ford in Mesa, Ariz. In other dealer news, Lithia Motors in Medford, Ore., promoted Tina Miller to chief accounting officer. The Larry H. Miller acquisition increases number of the dealership group’s Phoenix metro area stores to nine. Larry H. Miller Dealerships opened its first Valley location in Arizona, Larry H. Miller Toyota Peoria, in 1980. Larry H. Miller will give a new name to the store’s sales and service center: Larry H. Miller Ford Mesa. Larry H. Miller will also rename the location’s collision center, commercial vehicle center and off-site quick lane to Larry H. Miller Collision Center East Valley; Larry H. Miller Ford Mesa Commercial Vehicle Center; and Larry H. Miller Quick Lane Tire and Auto Center. The dealership also features The Pit Stop, which is a café and coffee shop. Larry H. Miller Dealerships will retain the dealership’s existing employees. That brings the total number of Arizona-based personnel at 13 dealership locations to more than 1,500. Larry H. Miller Dealerships now operates 63 dealership locations with 20 different automotive brands. The company operates in seven western states, beginning with a single dealership in Murray, Utah, in 1979. The Berge family has owned and operated Berge Ford for more than 75 years. “We’re thrilled to continue to grow our presence with a strong brand in a market we love,” Larry H. Miller Dealerships president Dean Fitzpatrick said in a news release. He added that Berge Ford has been named a Ford Triple Crown winner. Berge Ford president Nancy Berge said that when determining a buyer, her company looked for a family-owned company with values and culture to match that of her business. Larry H. Miller Dealerships senior vice president of operations in Arizona, Pat Kroneberger, agreed that Berge Ford’s culture aligned well with the Miller dealerships. “We’re excited to welcome the employees into our organization and share with them the mission, vision and values upon which Larry and Gail built our company,” Kroneberger said in a news release. Regarding the Lithia Motors news, Miller has served as corporate controller for the company since 2015 and served for Lithia Motors in different accounting and audit leadership roles for 14 years. Miller previously worked in the assurance area for Ernst & Young. Miller in her new role will oversee accounting, financial reporting, tax and risk management. She will also serve as the company’s interim principal financial officer. In 2018, Manheim’s Digital Marketplace helped make more than 2 million vehicle sales to digital buyers. Now, as part of Manheim’s $100 million investment in expansions to its Digital Marketplace through 2019, the company is offering a new service that teams dealers up with what it calls “a dedicated expert” to help them sell vehicles through the digital wholesale marketplace. The new service is called Manheim Express Concierge, which allows dealers to list their vehicles with the digital tools and turn inventory quickly while maximizing profits, all from their dealership lots, according to the company. As part of Manheim Express Concierge, specialists offer end-to-end service, including performing the legwork on listing vehicles and consulting with clients on their wholesale strategies. All of that work saves time for the dealer, according to the company. U.S. dealers participating in the program will now have the optional benefit of a Manheim Express specialist visiting their dealership to capture inventory they want to wholesale. The specialist will use the Manheim Express mobile app to record details such as VINs, extensive vehicle condition and photos using 360-degree imaging technology. The specialist, working with the dealer, finalizes listings with additional disclosures or announcements and recommends pricing and channel options based on each client’s goals. The company launched Manheim Express Concierge in select markets last fall and nationally in the first quarter of 2019. Now with coverage from coast to coast in all major markets across the U.S., the service requires no upfront cost by dealers. Manheim also launched a Seller Desktop experience, which it says is designed to help dealers make faster, smarter decisions about their inventory. The enhancements provide a snapshot to sellers of overall inventory and offerings. They are grouped by key statuses and actions to help move the decision and next steps more quickly. A Manheim Express “mini-dashboard” with a quick list of inventory and actions will also be on the seller dashboard inventory homepage and search results pages. Many news articles have covered what the auto industry has described as a critical shortage of service technicians. In appreciation to those technicians currently making a strong contribution, an Auto Care Association program has honored a new round of recipients with its 2019 World Class Technician award. In partnership with the National Institute for Automotive Service Excellence (ASE), the Auto Care Association provides this annual award to recognize professional technicians who have achieved ASE certification in 22 specialty areas during the 2018 certification test administration. The tests include: A1-A8 (automotive), T1-T8 (medium/heavy truck), B2-B5 (collision repair) and L1, L2 (advanced). Of the estimated 879,000 technicians in the United States, more than 250,000 hold ASE certification. More than 2,000 technicians have earned the “World Class Technician” status since the organizations began the award program more than 30 years ago. — Brian Beauchemin – Cumberland, R.I.
— David Boyce – Westport, Mass. — William Childers – Lizella, Ga.
— Amos Eaton – Pevely, Mo. — Leroy Fleming – Bel Air, Md. — Luke Franta – Santa Margarita, Calif.
— Robert Gouveia – Everett, Mass. — William Gray – Metairie, La. — Travis Guenzler – Catawissa, Mo. — Brad Harder – Emporia, Kan.
— Jason Hodge – Saint Charles, Mo. — Tyler Hurt – Debary, Fla.
— Scott Jensen – Boynton Beach, Fla.
— Steven Johansson – Troy, Mich.
— Raymond Johnson – Holly Springs, N.C.
— Steven Kuhr – Moore, Okla.
— Brian Lacroix – Medley, Fla.
— Steven McAtee – Milton, Ky.
— Jeramiah Mihelich – Waltham, Mass. — Michael Mizzi – Willow Spring, N.C.
— Matthew Olsen – Burlington, Mass. — William Onessimo Jr. – Rockland, Mass. — Robert Reiss – Carnegie, Pa.
— Steven Sears – East Bridgewater, Mass. — Jacob Shuter – Manchester, N.H.
— Michael Springman – Pensacola, Fla.
— Curtis Walker – Woodland, Calif.
— Ryan Weaver – East Falmouth, Mass. Prometric testing centers offer ASE testing nationwide. The World Class distinction is valid for life. Making sure they buy the right used-vehicle inventory at the right price is just one issue that auto dealers face. They must also make sure that price brings them optimal profit and turn rate. J.D. Power and technology company CarStory had those dealer concerns in mind when they developed an app that they say provides insight on used-vehicle market prices and inventory decisions. To get the NADA values of wholesale, trade-in, retail and loan autos, dealers can now use J.D. Power’s MarketValues application by scanning a VIN or by inputting year, make and model details. To provide vehicle history report information, the app also allows for AutoCheck or CARFAX account integration. To help a dealer determine how much a vehicle will sell for and when, the app integrates CarStory’s machine learning techniques and current market data. Supply levels, shopper demand, competitive vehicles and dealership performance are among the market factors the app considers to predict how a potential acquisition fits into the market and how it will sell. CarStory chief executive officer John Price said in a news release that dealer margins are under great pressure as interest rates rise. Dealers must know how fast a car will sell and when, he added. CarStory notes that more than 16,000 dealers use its services, which combine artificial intelligence and a database of inventory and shopper insights to help dealers sell more cars at a higher profit. Another cluster of family owned dealerships is departing the industry and selling to a larger group. According a to a news release distributed on Tuesday, Kerrigan Advisors represented and advised Minnesota-based Village Automotive Group in its sale of Lexus of Wayzata, Lexus of Maplewood and Village Chevrolet to Chicago-based Ed Napleton Automotive Group, which operates more than 74 franchises in seven states. Founded by the Bloomer family in 1950, Village Automotive Group is one of the original charter dealerships for Lexus in the U.S. and has earned the Lexus Elite distinction for a combined 46 years, operating the only Lexus dealerships in Minnesota. The company’s Village Chevrolet dealership in Wayzata has been owned and operated by the Bloomer family for nearly 70 years and is one of the oldest Chevrolet dealerships in the state. “After 70 years in the auto dealership business, our family’s decision to sell was a difficult one. We are happy to see Village Automotive Group transition to another family-owned dealership group who will continue our customer service and employee-focused legacy,” said Steve Bloomer, president and chief executive officer of Village Automotive Group. “We are very grateful for the guidance and support that the Kerrigan Advisors’ team provided us in the sale process. Erin Kerrigan’s expertise — from her deep understanding of the buy/sell market, transactions and dealership valuations to the OEM approval process — helped make our sale as smooth as possible,” Bloomer continued. Kerrigan Advisors has been involved in the sale of 79 dealerships in the last five years, representing more than $1.5 billion in client proceeds. For example, Kerrigan Advisors was intimately involved with another family business when Carson Kia — which the firm said at the time was the highest volume Kia dealership in the U.S. since 2016 — was purchased by southern California-based Trophy Automotive Dealer Group (TADG) last August. Village Automotive Group valued that experience during its journey. “Kerrigan Advisors was invaluable to us in the sale of our dealerships,” said Steve Bennett, vice president, chief operating officer and partner of Village Automotive Group who has been active on Lexus dealer and product councils during his 38-year tenure with the company. “Mercedes Hendricks and Marie Brashears of Kerrigan Advisors were particularly helpful in preparing us for sale and managing the buyer due diligence process. We are very grateful for all of their hard work in making this sale a success,” Bennett continued. Erin Kerrigan, founder and managing director of Kerrigan Advisors, described the path the firm took with Village Automotive Group. 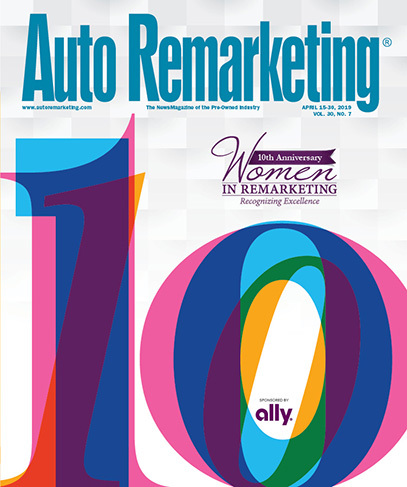 “Two things were clear when we were engaged by Steve Bloomer and Steve Bennett: the importance of selling to a buyer who would continue the Village Automotive Group’s extraordinary record of top customer service and the need for a transaction process that would do justice to the Bloomer family’s 70-year legacy in the automotive retail industry,” Kerrigan said. “We are pleased that we found a buyer with a deep family legacy in the auto dealership business. “With the acquisition of Village Automotive Group, Napleton is adding a hugely respected group of dealerships, including some of the top Lexus franchises in the U.S., and entering the Minneapolis market for the first time,” Kerrigan added. Bill Jonason and Mark Hamel of Dorsey & Whitney served as legal counsel to Village Automotive Group. Jama Kris of Stinson Leonard Street and Les Stracher served as legal counsel to Ed Napleton Automotive Group. In addition to its sell-side advisory work, Kerrigan Advisors consultancy offers strategic consulting services to dealers and their families, including growth planning, capital raising and valuation analysis, creating value every step of the auto retail lifecycle. The firm highlighted that its managing directors are fully licensed with Financial Industry Regulatory Authority (FINRA) and have particular expertise in navigating the complexities associated with selling large family enterprises with multiple owners and dealerships. It’s one of life’s greatest frustrations: Finding a place to park. Making the problem even more frustrating is the fact that many businesses, including car dealers, have under-utilized parking spaces available. A new app promises to help solve that problem. Parkedit.Space is designed to connect owners of underutilized parking spaces with drivers and auto dealers facing the agony of a lack of parking. Through the platform, private individuals and businesses can find parking spaces around town quickly through what the company describes as an uncluttered user interface. The company notes that auto dealers are often at one extreme or the other, with too much underutilized parking or none, and they struggle to locate legal places to park. The Parkedit.Space app connects these parties in seamless, secure manner, according to the company. “The concept allows those with extra space to monetize what they have, and those in need of space to quickly and easily reserve parking while saving time and money.” Parkedit.Space chief executive officer Daniel Marzouk said in a news release. Parkedit.Space is a member of the New York Independent Automobile Dealers Association, and a leader of that organization said its dealers continue to seek relief from the stress of parking. “Dealers’ parking needs change daily. Parkedit.Space is a lifesaver for our dealers," said NYIADA executive director Paula Frendel. Auto/Mate Dealership Systems provides dealership management system software to more than 1,400 retail automotive dealerships. Now, Auto/Mate DMS customers can use GoMoto’s Virtual Service Advisor Platform, a service lane kiosk that Auto/Mate says provides customers with a self-led check-in process. Auto/Mate Dealership Systems stated on Monday it has completed all dealership management system integrations with GoMoto, a developer of technologies for automotive service lanes and showrooms. The integrations will allow what Auto/Mate describes as a streamlined check-in process. With the integrations, Auto/Mate’s dealership customers can now use GoMoto’s Virtual Service Advisor platform to improve the service lane experience, reduce workloads for service advisers and increase service revenue, according to Auto/Mate. Silko Honda director of operations Geoff Ewell tested the integrations by placing two GoMoto kiosks in the dealership’s service drive. Silko Honda has been an Auto/Mate customer since 2016. "We wanted to create a frictionless environment for our customers where they could make their own choices on their own terms, and not have to wait in any lines to get their vehicle into the service queue," Ewell said in a news release. Efficiencies, service adviser selling opportunities and customer satisfaction all increased after the dealership started using the platform, according to Auto/Mate. “The integrations are seamless and customization options are unlimited,” Ewell said. GoMoto’s Virtual Service Advisor kiosk can also help consumers check in, receive trade appraisals, update contact information and approve service recommendations, according to the company. The DMS updates all data entry instantaneously, according to the company. GoMoto notes that 89 percent of dealership customers stated that the kiosk made check-in easier and faster. Ninety-five percent said the kiosk answered all their questions. Twenty percent of customers self-selected an upgrade or add-on service recommended during the check-in process, and 7 percent of customers sought a trade-in/vehicle equity review. Dealerships can customize Virtual Service Advisor with their own branded interface, and equity mining capabilities and customized promotions are part of the platform. With Auto/Mate’s Service Merchandising Module, dealerships gain access to various tools that the company says can increase service volume and streamline service department processes. “Consumers are becoming more used to self-service technology in retail environments, and GoMoto's platform meets that need in the dealership service department,” Auto/Mate president and CEO Mike Esposito said in a news release.